Match day at last, the time has come to reach our first real test of the season. Any win over Liverpool at Anfield always ranks highly in my book however the victory this season if looked more closely under a microscope showed a Liverpool team still coming to terms with a new system, a new manager and still broken from the bad buys of Kenny Dalgleish’s last reign. A win really was the only possible outcome from that tie and now we reach the stage where we take on the current champions in their own patch. This will be the acid test of how far we have come and how our improved defence can cope against quality opposition. Both teams meet today coming off the back of gruelling away games in the champion’s league, we will start the game with a slight psychological advantage given the fact we won our game. Man City’s opposition were a far harder test, no disrespect to Montpellier but Real Madrid is another level of football club. The fact that Man City were fighting to the last minute it is hoped that physically they will show fatigue in today’s game. From their team it looks like Sami Nasri will miss the game due to a hamstring strain obtained in the midweek game. In a way that will probably work in Arsenal’s favour. Too much is made of Nasri when the two clubs clash that part of the focus slips away as it turns into a personal battle. These situations are definitely new to arsenal fans and have slowly crept up on us the past couple of years. In the past players that left the club acrimoniously were well past their peak to the point if we ever faced them their involvement didn’t warrant any attention. 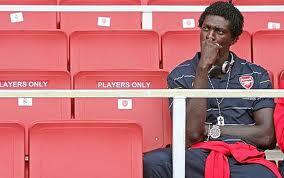 More frequently since Emmanuel Adebayor left the club we have come to face the ‘pantomime villain’ ex player. It certainly left a bitter taste the way he left the club with his tail between his legs to a premiership rival, although Man city weren’t as big then he was still a player in his prime moving to an up and coming rival club. Nasri was then the next player to join that club and now the latest addition is Robin Van Persie to join the unique club founded by Ashley Cole. The games all of a sudden become bigger than one club against another, it’s personal between the player and the rival fans and the result almost becomes second best as long as that player has a poor game. Back in the day all we had to contend with was Jermaine Pennant playing out of his skin against us to try and prove some point. He was so irrelevant most fans didn’t care at all because they knew his lack of brain cells would have him in the papers for all the wrong reasons before too long. I’m quite greedy and would rather have the result and a poor performance from Nasri (if he plays). To be honest our team has changed so much that beyond Emmanuel Frimpong not many of the current squad will give two hoots about Nasri. He is clearly in our past and their focus is on bigger and better things. 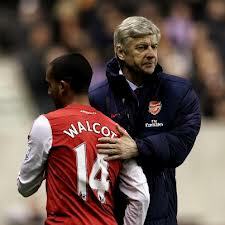 It is hoped Theo Walcott and his non contract doesn’t affect the good start we have had to the season. Personally I believe once the transfer window closed and he didn’t sign anything that his days with Arsenal were numbered. His agent now holds all the cards and can hold the club to ransom over negotiation terms. I would not be surprised if the player moves on in the next window. Arsene Wenger is reported to be frustrated about the whole situation and gave his biggest indication yet that if things are not resolved in the next two months his hand may be forced to cash in on the England winger. Us Arsenal fans have been through it all before and understandably we are a little less forgiving despite the positive comments that come out of Theo’s mouth. If you want to play for us do whatever it takes as soon as possible so that your only focus is on the team. Right now doubts remain, some negative vibes are coming off from the stands and it will most definitely transpire into his mental state and affect performances when he’s on the pitch. I hope he does prove us all wrong and signs a contract soon though at present everything points to him moving on. I’m sure with the pressure on from Wenger we will hear a lot more about this situation over the next few weeks. Look at me rambling on about something other than today’s game. See Theo, even I’m distracted. So Lukas Podolski has done some promo for the Arsenal. The official site released some video of the German in his first official interview as an arsenal player. Although the deal was announced a while back you still can’t help but get excited at the thought of Podolski turning out for Arsenal when you catch sight of him wearing the kit. I mean the actual interview itself was no different from your standard Arsenal interview for a new signing. Lukas proceeded to say all the things we wanted to hear and tick all the boxes to satisfy the fans. This to me is such an important signing and very shrewd piece of business conducted by Arsene and his team. It goes to show we do have the pulling power and that we can be crafty enough to nip in and get signings of big players. This is not the potential we have become accustomed to signing over the last few years. This is a player for the now, a full international with an impressive record for a major country in world football. Can this Podolski signing be another piece of evidence to prove the Arsenal strategy for signing players has evolved from future to right here right now? I certainly hope so. Too many times over the past few years heavy resources have been poured into developing the future stars of Arsenal only for their heads to be turned at the very stage when they should be the leading members of the team. We have lost too many players because of this and have had to reinvest in youth to get back to this stage. On the other side of the coin many players deemed for bright futures have failed to live up to expectation. Any signing is a gamble at the end of the day but if we continue to add the odd experienced quality to complement the raw potential the right balance will enhance the team growth. One significant thing to notice with the signing of Podolski is the countries in which the club is targeting for players. Germany has always been a leading force in world football and currently boasts an envious batch of highly talented young footballers coming to prominence. I am encouraged by the fact that we are targeting players from this country as opposed to the star player from Kazakhstan per say. Per Mertesacker was the catalyst to us attracting German players to our club. Of course he offers a lot more to the club than attracting his mates but it always helps attracting foreign players to your club when you already have a countryman on your books. Eisfeld is on the books, we have long been targeting Mario Gotze. A German core is not a bad thing at all. Germans are known for their professionalism and winning mentality. The kind of mentality which belongs at big clubs. We are a big club and will return back to where we belong at the top of the table before too long. I refuse to take notice of anything said by Samir Nasri. The guy is a massive waste of space and I’m ashamed to believe I used to cheer on this guy and sing his name from the stands. Karma will have something planned for him. Robin Van Persie is set to have his much-anticipated talks with the Arsenal men today; it will be just as nerve-racking to gunners fans as we were on Sunday. This is a massive set of talks that could have repercussions on the whole dynamic of the Arsenal squad. If he were to decide to leave the Arsenal we WILL need a replacement. Podolski should be deemed as an addition of quality to build on our 3rd place finish not a replacement for our golden boot winning, top scoring captain. This was one of the situations that left us in so much despair at the start of last season. The uncertainty over Fabregas and Nasri left us feeling somewhat underwhelmed when players were linked as they were seen as mere poorly shaped plugs to fill massive holes. We do not need that for next season, we need to do everything in our power to keep our captain and build. If unfortunately he has already made up his mind to go then we must think long-term and buy a replacement of equal standing and sell RVP as early as possible. We cannot let this drag out; we cannot beg him to see out one last year on his contract. As much as I love Van Persie if he feels the need to fulfil ambition elsewhere then we need to sell him ASAP. Wenger is a man of honour and will not stand in his way and hold him to ransom. We will need to rebuild as soon as possible. 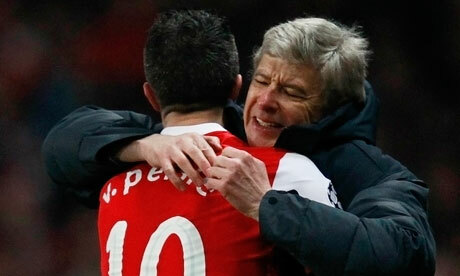 I have a gut feeling Van Persie is staying with the Arsenal. I believe today’s meeting will serve as Wenger and his team convincing our captain that Podolski is just the start. Robin will be assured that we will be bringing silverware back to Arsenal and that he will not regret signing a new contract. 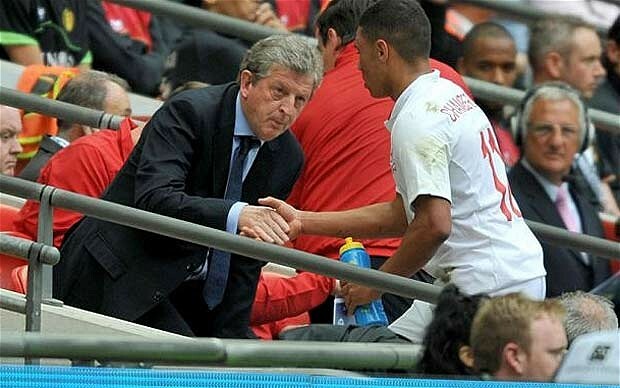 England squad for Euros should be named today. Heavy rumours that The Ox will be included. Will be interesting if true but I will wait until confirmation before passing my views on what impact they may have.